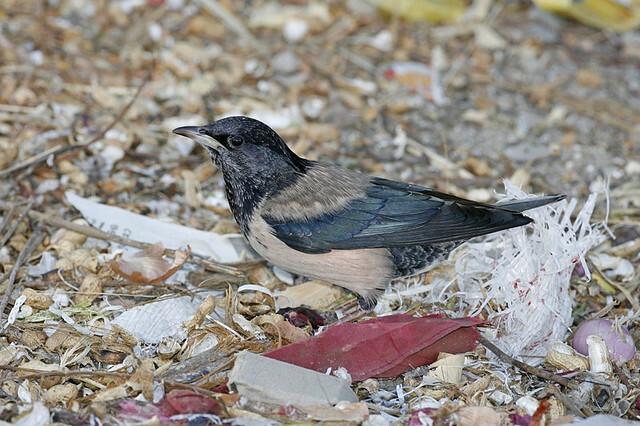 The Rosy Starling lives in Eastern Europe and in Central Asia. In summer the pink colour is good to see. In winter upper parts and belly are more pale and appear gray.